DISCLAIMER: Von Der Musikstadt is not a Veterinarian or health care professional. The Information I have on this website is from own personal experience or information I have found. 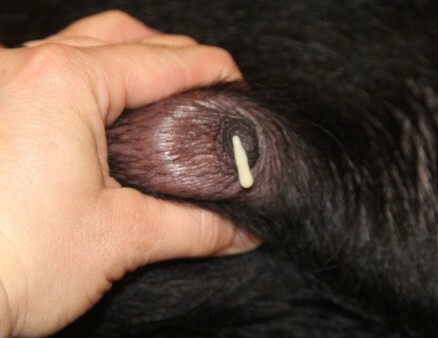 I suggest to bring your dog to a Veterinarian that has several years experience in dealing with pyometra. 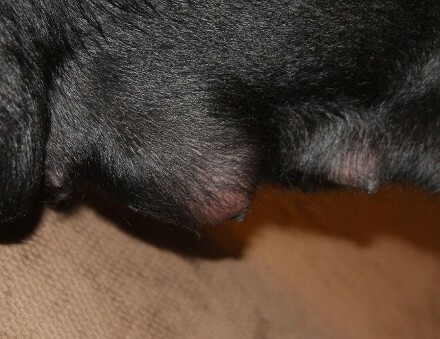 Mastitis a bacterial infection in the lactating (milk producing) glands. Occurs often because of trauma to the lactating gland, ascending infection, or an infection somewhere that has spread through the bloodstream. 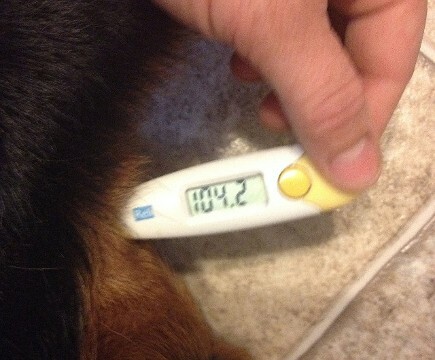 This infection is serious and needs to be checked out by a veterinarian. It can become life-threatening and in some cases leading to septic shock and death! Bacteria can get entrance through the bloodstream. This normally comes from the uterus because it is normally high during pregnancy or infection in uterus. Bacteria can get into the blood through intestional tract. Possible worms causing problems or intestional bacteria infection. Can mostly occurs in onegland but can be multiple glands. Symptoms can occur very fast within 24 hours. Dysfunction of the kidney, liver, and lymphatic system. 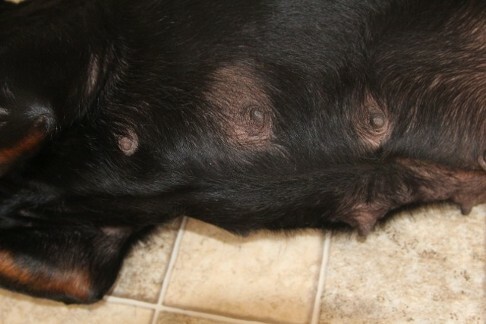 The below pictures are 24 hours later after doing hot compress to the lactating breast, giving her antibiotics from the vet and appling a cold cloth to her belly to bring down her temperature to at 102.9 degrees. 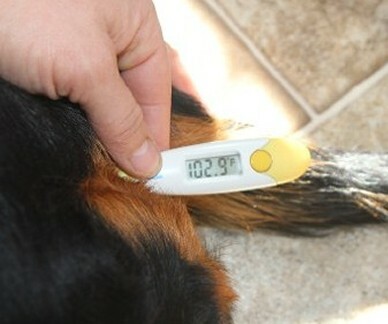 Normal temperature is about 101 - 102.5 degrees fahrenheit.